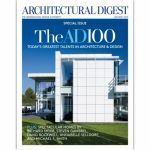 April 2016's Architectural Digest featured a large article on Tom Scheerer's latest design on Great Abaco Island, Bahamas. A long-time client, Scheerer used one of his favorite cement tile patterns, San Antonio. Read the full article on Architectural Digest: Go Inside Designer Tom Scheerer’s Beachy Bahamas Vacation Home. 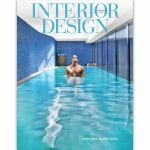 The March 2016 issue of Interior Design featured a 10-page article devoted to Austin's new Hotel Van Zandt. This MARKZEFF design features a musical theme, as an homage to namesake Townes Van Zandt, and the local Austin, music culture. Hotel Van Zandt features our exclusive Ikat series cement tile. Read more in our blog post: Cement Tile at The Hotel Van Zandt. 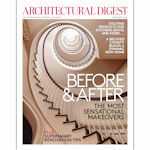 Our client project L'Amico was featured in the November 2015 issue of Architectural Digest. Congratulations to L'Amico and to architecture and design firm CRÈME for the continued accolades from Architectural Digest, including "14 Best New Restaurants of NYC in 2015", and "4 Brooklyn Restaurant Designers to Know". 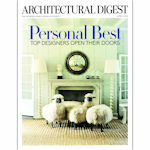 Read more at our blog post: AD Features Creme Design's L'Amico NYC. Creator of Ramshackle Glam, Jordan Reid, used our Talia Azure cement tile to transform her entryway into a bright and welcoming space. 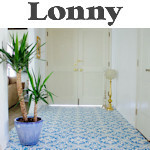 She describes the choice with video in the Lonny article, Before & After: Tiling Your Entryway. 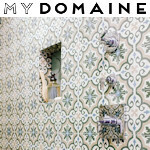 Our formerly in-stock Fiore A tile was featured in the article, 5 Décor Mistakes to Avoid in Your Bathroom. In the kick-off of her new collumn, designer Kishani Perera warns against "Taking it too Seriously", and shows this breath taking installation as a counter-example of designing a fun and expressive space. 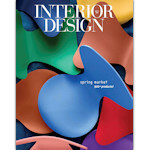 Our new Florentine Relief tile was featured in Interior Design's special Spring Market 2015 issue. "Flowers bloom wherever you choose..." said Interior Design, calling our colors, "ripe for the picking." Print only. Our client project SLS Las Vegas was nominated for "Best of Year 2014" in the category of U.S. Hotels. Our congratulations go out to the team members of Gensler, Phillipe Stark, and everyone else involved in the project. 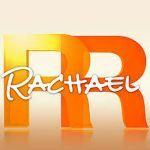 Chef Bobby Flay gave a tour of his new restaurant, "GATO" on the Rachael Ray Show. 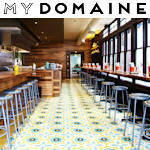 Flay specified a fun, vibrant array of hex patterns and colors for his Mediterranean-themed New York eatery. Watch the video clip for fantastic views of our custom cement tile. Video: Bobby Flay Gives you a Tour of "GATO"
One of our favorite designers, Tom Scheerer was featured in an article on Remodelista. Scheerer and his team are a joy to work with. 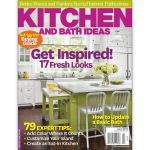 His Bahamian cottage remodels are featured in the article, "Island Life: At Home with Tom Scheerer". 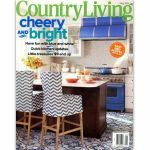 Our tile was featured on the cover article about a beautiful Rockland County, New York home. The homeowner was quoted saying, "This floor is the highlight of my day." Read our blog post: Cement Tile is a Recipe for the Ultimate Kitchen. Our tile was featured in the article, Design Renaissance: Patterned Cement Tiles Are Reborn. As a cover photo, the used a fantastic shot from one of our Tacoliscious projects. Also in the slider is a picture from The Reserve. Restaurateur Joe Hargrave [...] happened upon Lundy Wilder of Villa Lagoon Tile. Working with Lundy was "like a dream," Hargrave says, and she has since designed custom tiles for Tacolicious's third and fourth locations. Architectural Digest featured our client Drake One Fifty as their restaurant discovery on page 44 of the January 2014 edition. The MBDS design was previously featured as a "Daily A.D." on their site, December 23, 2013. 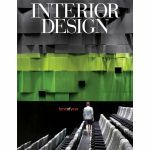 Interior Design awards the design team of Meyer Davis Studio "Best of 2013: Fine Dining". The design team used our tile prominently in the restrooms and one of the dining areas. We cover the original September article and the award in our blog post: "Best of 2013" Design Award, a Cement Tile Win. 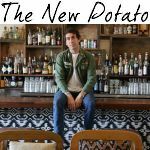 The New Potato wrote a great article on Brent Bolthouse and his collaboration with Studio Collective, The Bungalow. Bolthouse's reimagining of the space at the Fairmont Mirimar Hotel has become one of the hottest night spots of Santa Monica. The article features some particularly nice photos of our Ikat tile used on the bar (one of three installations of Villa Lagoon Tile in The Bungalow). Read the full article here. Interior Design covered one of our Manhattan restaurant projects, "Harlow" in the article "Blond Ambition: Harlow Restaurant Brings Glamour to Midtown". We cover both the article, and the later "Best of Year" award in our blog post: “Best of 2013″ Design Award, a Cement Tile Win. The "The Reserve" is a beautiful Kristopher Winters remodel in Holmby Hills that listed for $25 million. Our tile was a strong focal point through much of the house, inside and out. The Reserve has been featured on the E! network, as well as in print in the Los Angeles Times, Variety, and Bloomberg. See our blog with all the links: Los Angeles Cement Tile Project - The Reserve, Hombly Hills. 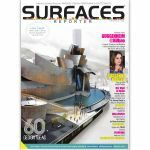 Villa Lagoon Tile owner and designer Lundy Wilder was interviewed for the Indian publication, "Surfaces Reporter", in an article that explores the recent resurgence in popularity of cement tile. We wrote a blog post on the subject, "Cement Tile Circling the Globe: India". 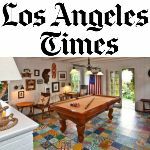 At the Fairmont Miramar Hotel in Santa Monica, a remodel of a pool compound into "The Bungalow" had the L.A. Times raving about our "eye catching" tile. Read more here. 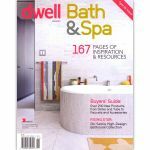 Villa Lagoon Tile's exclusive "Portals" design was featured in Dwell's special "Bath & Spa" 2012 publication. 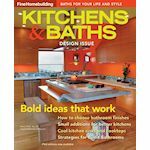 Villa Lagoon Tile's cement tile was featured in Fine HomeBuilding's "Kitchen & Baths" special edition, Winter 2012. Read more here. 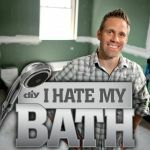 Our Salamanca tile was used in the "Pot O' Gold Bathroom" episode of the make-over show "I Hate My Bath", airing on DiY Network and HGTV. See photos and read more in our blog post: "A Wall of Wonderful on DiY and HGTV". 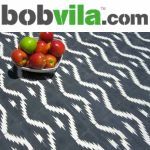 Our tile was featured in a Bob Vila website blog post: "Encaustic Tile Makes a Comeback". 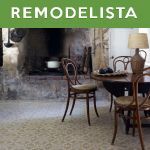 The home make-over show "Kitchen Crashers" featured our La Espanola tile, airing on DiY Network and HGTV. 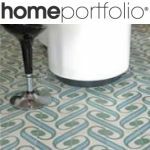 Read more in our blog post: "Cement Tile Makes a Big Splash on TV"
Our exclusive "Havana Cantina" tile was selected for a kitchen style arrangement in the print edition of Better Homes and Gardens, Kitchen and Bath Ideas. The style guide appeared on page 20. 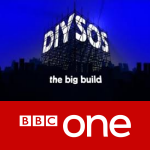 Thank you, Lucie Sadakova for your blog post about our Patchwork Tile on BBC! 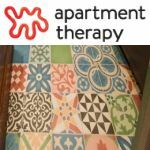 Our Patchwork Tile made an appeareance on Apartment Therapy, when they featured one of our Chicago clients in the feature, "Lynette & Cameron's Two Story Loft". 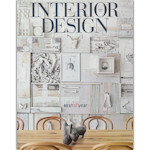 We are so pleased that the Austrian men's journal Wiener has chosen our "Havana Cantina" tile to feature in its special Spring 2011 Style issue. 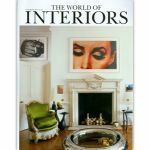 The UK publication "World of Interiors" featured architect Roberto Peregalli's home in Tangiers. After examining and photographing a a sample tile for their article, they pointed to Villa Lagoon Tile as the modern source for the antique cement tile in his entranceway. 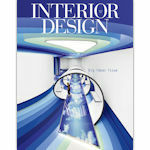 Our "Surf Agua" tile was featured among green flooring "Objects of Desire" in the Home Portfolio August 2009 Newsletter. 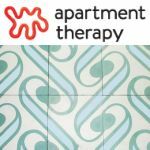 Nice mention in the Apartment Therapy Tile Vault. They praised several of our original coastal series patterns as "tiles that inspire a relaxing, far-away feeling". 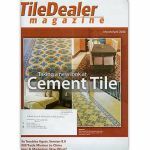 Cement tile was featured on the cover of Tile Dealer Magazine with the article, "Taking a New Look at Cement Tile: One of the Newest Tile Trends is One of the Industry's Oldest Products". Our founder and lead designer, Lundy Wilder, was cited as a source.